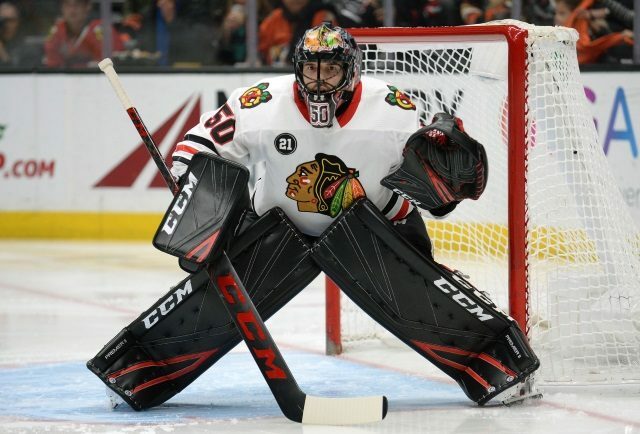 Chicago Blackhawks: Chicago Blackhawks goaltender Corey Crawford did not return on Friday and will not play on Saturday. He injured his groin during the first period of the 6-1 win over Dallas. This does not appear to be a serious injury for Corey Crawford, for what it is worth. New York Rangers: New York Rangers forward Filip Chytil did not play on Friday due to an undisclosed injury. It sounds like Chytil will miss Saturday’s game as well. He has 11 goals and 23 points in 75 games this season. Danny Austin: Bennett will be held out of Saturday’s finale against the Edmonton Oilers. However, he looks hopeful for Game 1 of the Stanley Cup Playoffs. He has 13 goals and 27 assists in 71 games this season for the Calgary Flames. Dave Isaac: Patrick is doubtful to play in the finale on Saturday night against Carolina. Unfortunately, this is because of a nagging upper-body injury according to Scott Gordon that has “bugged him for some time”. Patrick tallied 31 points in 72 games this season, including 13 goals and 18 assists. Kristen Shilton: Jake Muzzin ruled out already for Saturday’s game against Montreal but did not practice on Friday as well. Expect him to be well rested for the playoff opener next week. Tracey Myers: Bishop remains on track for a Saturday return as Dallas needs just a point to secure the first wild-card position. Expect Andrew Cogliano to be back as well. Unlike Corey Crawford, Bishop had more time to recover from his lower-body injury. East Bay Times: Meier crashed hard into the boards after losing an edge during Thursday night’s game. It appeared like he injured his wrist. For now, he is listed as questionable to play on Saturday versus Colorado. His left wrist was x-rayed but no results are known at this time. There is a likelihood that Meier will not play in the regular season finale.